With collaborations at the IISBR you can learn from prior experiences of others already active in the field of salivary bioscience. In our experience, collaborative science creates and moves “big ideas” forward. We know that functional scientific teams need to be composed of individuals who have interdisciplinary and specialized skills/knowledge, but also speak some common language to facilitate collaboration and innovation. Collaborate with us and your project’s “dream team” is likely to be composed of investigators from many different Universities and countries. The VSBC is now closed. We hope you had a chance to connect and share scientific information by presenting new advancements and achievements in salivary bioscience research with the first IISBR Virtual Salivary Bioscience Conference (VSBC). We’ve highlighted some of the more than 85 different projects ongoing at the Institute. 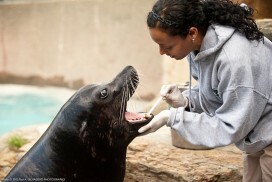 The minimally-invasive nature of saliva sample collection, and the broad range of potential measurements, enables oral fluids to be employed in a wide range of fields and disciplines. These features open a window of opportunity for researchers from traditionally non-biologically oriented fields such as economics, psychology, sociology, anthropology, gerontology, nursing, social work, preventive medicine, dentistry, medicine, occupational science, sports medicine, psychiatry, neuroscience, and more.